Is your scalp sore, itchy and inflamed? 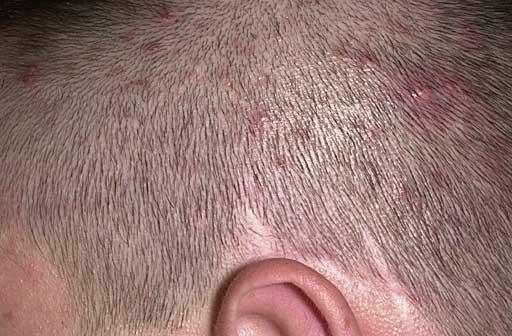 It could be a sign of Folliculitis. One of the lesser known causes of hair loss, this skin and scalp condition can be pretty unpleasant. However, the good news is that that folliculitis treatments are available at Sussex Trichology. In this article, you’ll discover more about Folliculitis, including its symptoms, causes and potential treatment options. Folliculitis is a skin condition in which the hair follicles become infected or inflamed. It can affect both men and women at any age, though it is much more common in adults. Although the scalp is commonly affected, it’s important to note that Folliculitis can occur on any part of the body where hair follicles are found, such as the arms, legs and even the armpits. Folliculitis is contagious. So if you scratch the infected area and then touch other parts of the body, it will spread. You can also pass the condition onto others in the same household. It’s also worth noting that there are several different types of Folliculitis and it can also vary significantly in severity. It is extremely important to seek a correct diagnosis in order to ensure that you’re receiving the best possible treatment. There are three main symptoms which can present with Folliculitis. Most commonly, small red itchy spots will develop in the affected area. Some patients may find these lumps painful, but largely they just tend to itch. The trouble is if you scratch the affected area, not only do you risk spreading the condition, but it can also cause the hair to break off; leading to more noticeable patches of hair loss. Therefore, all patients are advised to avoid scratching the affected area. If you suspect you are suffering from Folliculitis, it’s essential you seek treatment as soon as possible. When treated early enough, any hair loss experienced will be temporary and will eventually grow back. If left untreated, however, the condition could worsen and lead to permanent hair loss where more drastic treatments would be required. It is worth noting that in very mild cases, the condition may not require treatment. Provided you don’t aggravate it; you may find it disappears naturally within 7-10 days. However, a medicated cream or lotion may be prescribed to speed up recovery. 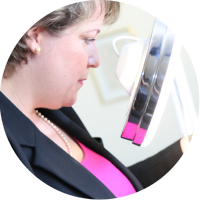 Here at the Sussex Trichology clinic, we offer a range of scalp treatments to treat Folliculitis. The scalp will be treated at the clinic before prescribing an appropriate medicated treatment. You can continue to use the medication at home. The treatments you may be offered include lotions, creams, dietary advice and shampoos. If the condition is severe, you may also be advised to take antibiotics. If you’re worried you may be suffering from Folliculitis, call or email us to book a consultation. You might be surprised by just how easy the Folliculitis condition is to treat. Was recommend Shuna by one of my sister’s friends. Have been to several specialists and Shuna is by far the best I’ve seen. She gave me the most comprehensive consultation and I automatically felt at ease in her presence. Whilst my treatment is still on going in the early stages of treatment I have already seen results I hadn’t seen elsewhere. Would thoroughly recommend her to anybody seeking hair treatment.